Now buy whatever merchants have on display. Igotnousername gave me tips and suggestions, so thanks a lot for that! roserosenbergfr allowed me to make patches for their mod. - The price is now better than before, but still doesn't take magic effects into account (enchantments, potions, spells and blessings) that change your speech. - You can buy hanging elves ears, frost mirriam, garlic, pheasants, rabbits and salmon. The book is no longer needed. The perk is added immediately. You can now buy more things. I noticed that for example dartwings were not buyable. They are now. I can't believe that this mod didn't exist yet, but I couldn't find it on the Nexus or on Bethesda.net. 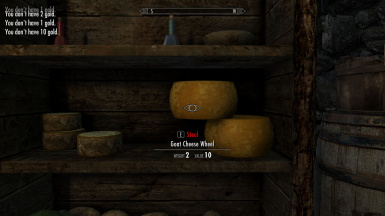 With this mod, you can buy items that are on display in stores. You can still take/steal items like normal, if you sneak. 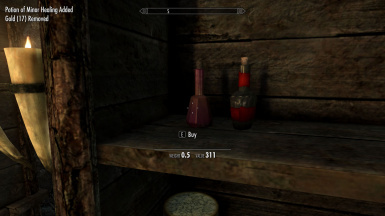 You can buy items like weapons, potions and food, and some harvestables like elves ears. 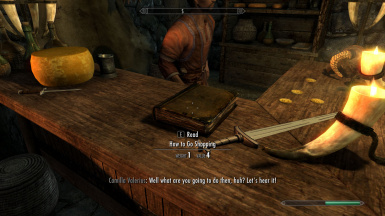 All gold you spend is added to the merchant's inventory, and if you befriended the merchant, you don't have to pay for items you would normally be able to take. 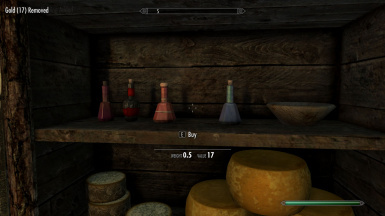 Almost all merchants, inns and marketstalls work, but only items that are clearly on display are buyable. Items that are behind the counter or inside display cases are not for sale. Because many magic merchants don't really have things on display, they don't have directly buyable items. If I forgot items (I had to select them by hand) or places, please let me know. I'll add them. I have started making patches for Radioactive. Since RoseRosenbergFr put a LOT of items in the shops and inns (which looks amazing) it is a lot of work to make the patches. Don't expect them to come fast. You will need the immersive merchant esp and the matching Radioactive esp. - you don't pay for items that you could normally take. You still get the 'buy' prompt, but don't pay anything. - The book is no longer needed. The perk is added immediately. - You can now buy more things. I noticed that for example dartwings were not buyable. They are now. 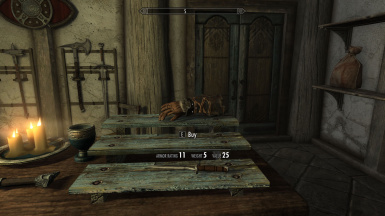 - The file is now available for Skyrim (Oldrim): http://www.nexusmods.com/skyrim/mods/83218? - The name of the item is no longer visible. - The displayed price is not the price you actually pay.